We had a fun day today at Calmsden with some of the old friends out again. It was a real luxury to be riding experienced horses around a simple novice. They made everything feel nice and easy, and were surprisingly well behaved overall considering they haven't been out for two years. It was my first ever ride on Koko Pop, who was previously ridden in Australia by Robert Palm, and has since spent a couple of years mowing the grass at Rookery. He did a nice easy test to be on 29, jumped a good clear show jumping with an encouraging amount of control. 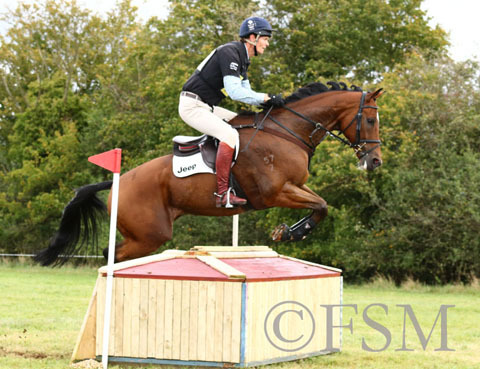 And he went very well around the cross country but with quite a few time faults. It was lovely riding a thoroughbred he just made it all feel like a real breeze. Luxury FH was very happy to be on show again, and was slightly on edge in the dressage. I was very happy with his 33 because it could have been easily something else. He also jumped a good double clear and was just very happy. Fernhill Pimms was also on great form, and had a lot of fun. He led the dressage on 23, and went double clear. He won despite his 8 time faults and was rather jammy to win by 0.1. Winning was a lovely bonus as it was totally not on the agenda. It was fun to have my old pros out again, and it was great to see Catherine for the first time since Tattersall. We are all looking forward to another outing next weekend at Oasby. Andrew McConnon also had a pleasing day to finish 5th on Priorspark Premonition. 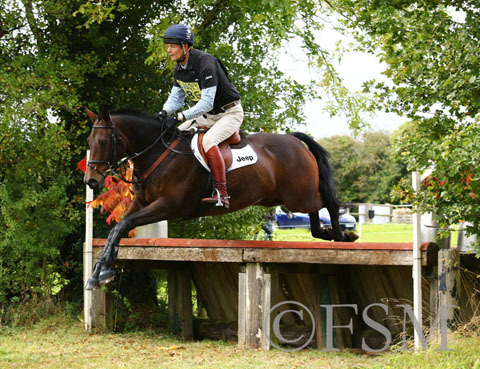 Andrew was pleased with his dressage of 32, and was so unlucky to have the last fence down, but he flew around the cross country inside the time, with Huggy showing what class he has up the steep hill at the end.